The EuroTek is designed specifically for European conditions but works great anywhere in the world, especially the United States. We have tested the EuroTek here in the US and abroad, with excellent results and are confident Euroteks will quickly become favorites throughout the treasure hunter community! 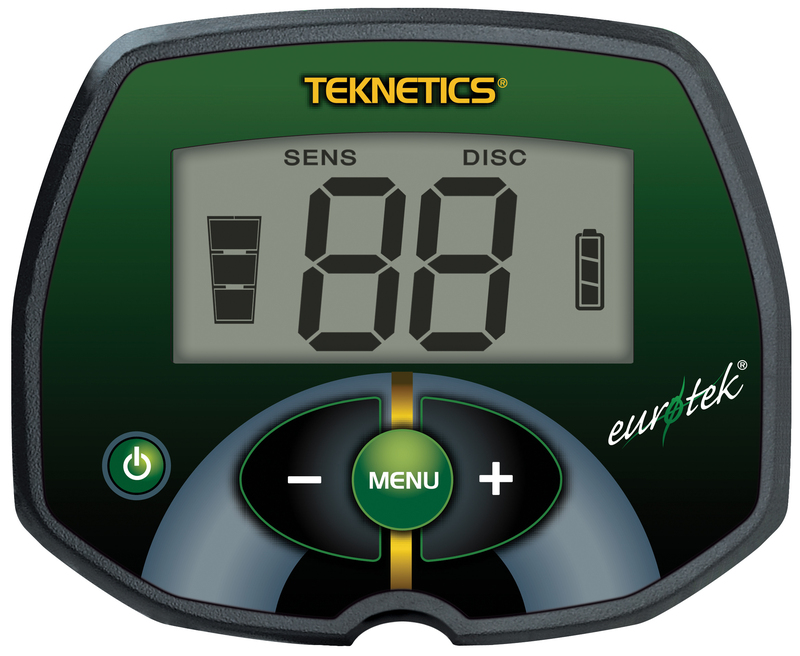 With new and unique features the Eurotek family will redefine the industry with a high performance, lightweight low cost detector. They have large easy-to-read 1-99 target ID numbers with adjustable sensitivity and discrimination. The Pro models have a unique Iron Audio Volume Control that allows users to control iron target volume separate from other targets. It also has an Iron indicator that alerts the user to the presence of iron even when discrimination is set to reject the iron audio. EuroTek is the result of years of research and development to bring you a detector designed for the challenging European soil type. Treasure hunter enthusiasts from around the world were involved first hand in the development of this revolutionary new detector. The Eurotek has Target-ID resolution never before seen in a detector in this price range. Special iron identification and audio feedback features are an industry first. The EuroTek has unique ground elimination ability so there is no need for adjustment in any type of soil. 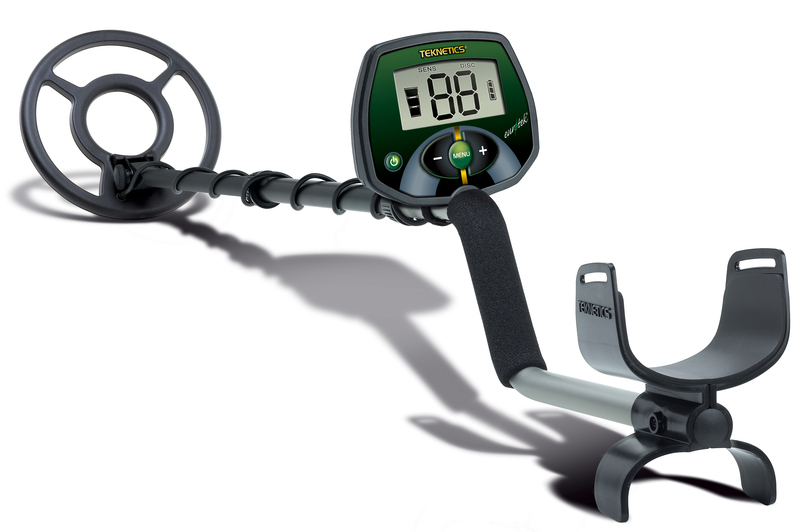 Turn-On-and-Go, Three button operation makes this Target-ID Metal Detector easy and fun to use anywhere in the world! Adjustable length; 41.5" to 50"